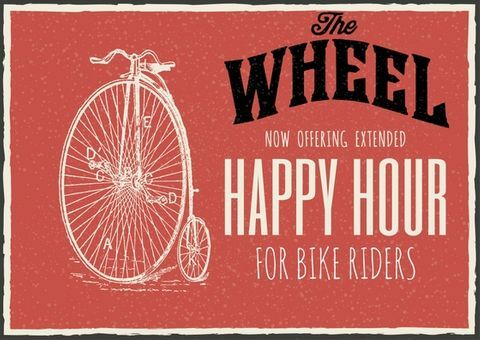 Ride your bike to the bar Monday - Friday and get extended Happy Hour pricing! Grab your favorite records and head on over to The Wheel. Every Tuesday night we will be playing what you bring in.